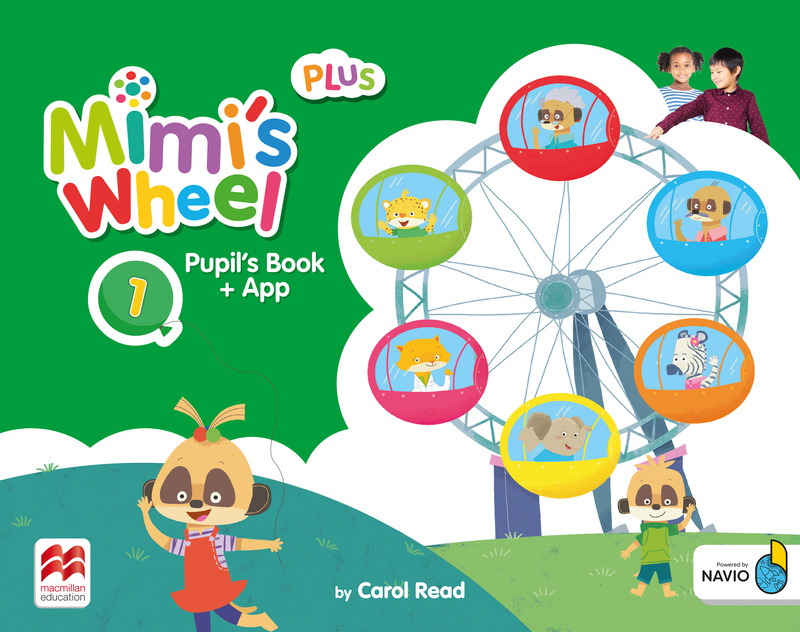 The Mimi's Wheel Pupil’s Book Plus has a flexible, modular structure which allows teachers to align children’s English learning with the content and sequence of the wider curriculum. Pupil's Book Plus comes with access code to Pupil’s App on Navio with gamified language practice maximising students' exposure to English outside the classroom. There are eight core units in the Pupil's Book Plus, each consisting of ten lessons. Units follow a logical structure in order to progressively build the language load and gradually expand children’s understanding of the chosen topic. Additional content such as Colours, Numbers, Shapes and Concepts sheets as well as Festivals are included at the back of the book so it can be easily aligned to the first language syllabus. Full colour stickers are included at the back of the book. The Pupil’s App on Navio includes all the songs, videos and animated stories from the course so that students can review them at home and share them with their family.